Citing geopolitical instability in the wake of the Crimea crisis and acknowledging the outflow of capital for most emerging countries, the International Monetary Fund (IMF) on Tuesday revised Russia’s projected GDP growth in 2014 down from 2 to 1.3 per cent. The IMF data – part of its World Economic Outlook Report for 2014-2015 – came on the heels of figures showing a decline in manufacturing. Financial information company Markit, which analyzes economic indicators in the eurozone and Russia, showed that its Composite Purchasing Managers’ Index (PMI) for Russia fell to 47.8 in March. Although the decline has been steady on a quarterly basis, this marks the lowest level for the index since May 2009. A PMI reading below 50 indicates contraction, while that above 50 signals expansion. 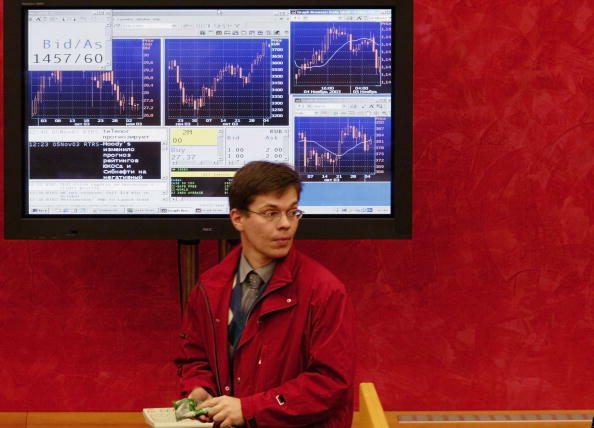 In the immediate aftermath of the Ukraine crisis last month, stocks on the Moscow MICEX fell 11 per cent. The ruble currency fell to 36.5 against the dollar. On Tuesday, the ruble fell further to its lowest level since the end of 2009 reaching 35.6 to the dollar. But Deputy Minister of Economic Development Andrei Klepach last week said that despite Russia’s economy being affected by both capital outflow and the Ukraine crisis it was unlikely to fall into recession next quarter.